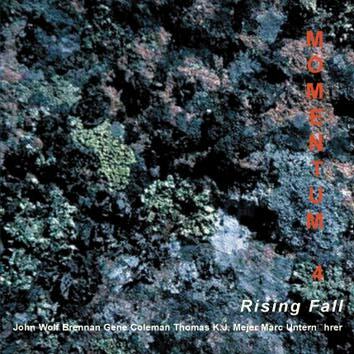 The fourth CD in the Momentum series yet again with slightly different line-up, John Wolf Brennan and Gene Coleman being the permanent members. Instead of previously used bass and drums, John Wolf Brennan added Thomas K. J. Mejer on sopranino & contrabass saxophones and Marc Unternahrer on tuba. While the approach is still the same, the sound palette is quite different. The combination of bass clarinet, contrabass saxophone and tuba give the music a brooding, mysterious, and more dramatic feel. Total duration is over 60 minutes.